Welcome on the webpage of my latest book. The changing world of energy and the geopolitical challenges. It is a major two-volume work of more than 1250 pages, with 437 figures and maps, in which I have tried to summarize everything I’ve learned in my 39 years working in the energy field. Each volume has 12 chapters. It is a book that I use for my ’Politics and Geopolitics of Energy’ students. Ultimately energy policy and energy geopolitics are determined, or at the very least conditioned, by energy technology trends. So while it is not a technical book I nevertheless explain that energy policy cannot ignore technology and therefore provide an introduction to the technical essentials required for a credible understanding of energy and the geopolitics of energy. As the title indicates the world of energy has changed substantially in recent years and this has triggered geopolitical challenges. Since both volumes are up-to-date on these recent and fundamental trends they address all the important geopolitical issues arising from these “shifting sands”. Energy, and its corollary energy geopolitics, is more than ever a grass-roots issue in today’s world. After having been threatened for 40 years with the fear of an oil shortage, we have now entered an era of fossil-fuel abundance combined with an increase in demand. But fears do not dissipate so quickly; sustainable development is now driving energy policy. However, energy geopolitics has its own agenda. To understand its basic tenets one has to grasp the fundamental principles of energy policy, which is the aim of this two-volume educational book. The first volume lays the foundations for an understanding of what energy is; this is essential to grasp the ideas developed in the second volume. As this presentation goes against the grain of much conventional thinking we start with a first part dedicated to the fundamentals of energy in order to understand what it is, reviewing the essential principles of physics based on universal laws that never change. Then we study the basic principles of data analysis, the importance of sustainable development (including a large treatment of the fuel poverty), and review all the various different energy sources (including energy efficiency whilst it is not a “source”), explaining how they are produced, the extent of their reserves, their specific markets, and the main actors and stakeholders. In the second volume a study of the energy geopolitics of different countries and regions (EU, Russia, China, Middle East, Maghreb, Canada, China, Japan; Korea, Caspian Sea Region, USA,…) ties all this together and brings it into perspective allowing the reader to undertake an analysis of present-day energy geopolitics. There are also chapters on energy and transport in particular the use of LNG in freight and maritime transport, the role of cities (not only on Smart Cities), etc. Since the geopolitics of energy is closely linked to its evolution in the past, many references are provided to historical events putting the present situation into perspective. The two educational volumes are richly illustrated with graphs, diagrams and maps to help readers advance progressively in their understanding of energy geopolitics. You can check the detailed table of contents here, and the indexes of the two volumes which give an idea of the scope of the book’s contents. References with hyperlinks are also provided here to facilitate further research. Recently, the Energy Post Journal named my book “A new energy bible“ and added “Samuele Furfari explains why technology is king”. Indeed all the energy changes and the geopolitical shift is the consequence of technology and this will continue. Please note that the views expressed by the author are personal. They do not necessarily reflect the position of the institutions in which he is active. I hope you will be interested in reading my book. 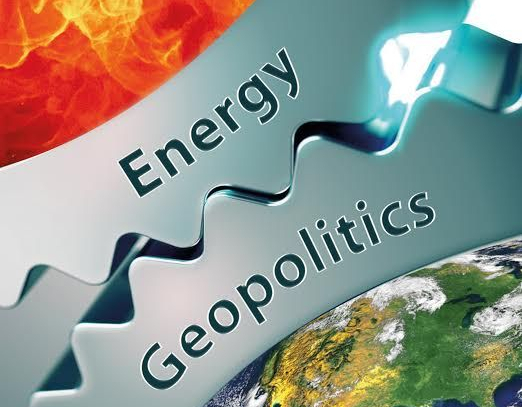 The aim of this series of two educational books is to grasp the fundamental principles of energy policy and geopolitics to be able to make its own judgments and choices.